Accidents involving an underride carriage collision can be catastrophic for those involved. 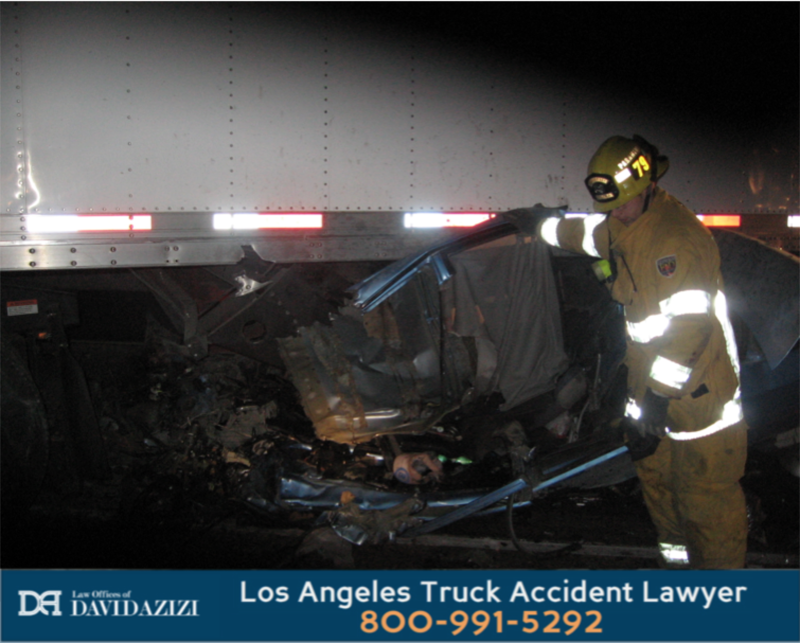 If you have or a loved one have been involved in a carriage underride accident, Los Angeles truck accident lawyer David Azizi has the experience, compassion and track record to help you find the justice and financial compensation you deserve during this difficult time. If you need immediate assistance, chat now or call our offices at 800-991-5292 to begin a free and thorough review of your unique and important case. What Is a Carriage Underride Accident? An accident where a vehicle slides directly underneath the rear trailer of a large semi truck or big rig is known as an underride crash — sometimes referred to as an undercarriage accident. The passenger vehicle is literally wedged “under the ride,” in this very dangerous wreck that can cause problematic injuries and many fatalities. In the video from the IIHS, the perils of underride crashes are made quite clear. What Are the Causes of An Underride Accident? The main factor that contributes to an underride crash between a passenger car and an 18 wheeler truck is the difference in sizes of the vehicles. Most modern cars have fantastic upgrades in safety features, but should collide with the rear a large truck, specific measures must be in place to make sure your car does not slide under the rear of the tractor trailer. The number one deterrent in place for an underride accident is a well designed underride guard attached to the back of a big rig truck. The underride guard is solid structure of steel bars attached directly to the rear of the truck. With this in place, a car that crashes into the rear of a semi truck will be prevented from passing underneath it. When this is not in place, is not installed correctly and breaks off, or does not meet modern safety standards, passenger vehicles stand little chance of escaping grave injuries when collisions occur. A full list of the most common injuries underride victims face can be found by visiting our common injuries page. We will work to prove that the trucker should be held liable (responsible) for your injuries, and that the equipment used by the trucker may have been installed incorrectly, was missing completely, or did not go through proper maintenance. What we find most common in these big truck cases is that the truck and/or trucking company committed an act of negligence. With this in mind, we make a demand for them to “right the wrong,” by paying money damages to the injured party. Underride carriage accidents are subject to the same legal reporting deadlines as other cases, and in most circumstances, the statute of limitations for truck accident injuries is between 6 months (when a government entity is involved) and two years. We urge all injured victims to contact a California lawyer before the clock expires for their case. The Law Offices of David Azizi works on a contingency fee basis. Simply put, we will front the costs of your case and believe in our 98 percent success rate so much that if we do not win your case, then we do not collect payment for ourselves and you owe us nothing. Our goal is to get you the justice and financial compensation you deserve in the quickest time possible. The next important step involves hearing the details of your unique case. David and team will listen, ask questions, and build a strategy to make you whole again in the eyes of the law. We are compassionate with each client, while simultaneously not letting big trucking companies push our clients around or short-change them will unreasonable settlement offers. Call our offices 24/7 at at 800-991-5292 and let’s begin your case and the road to recovery for you and your loved ones.